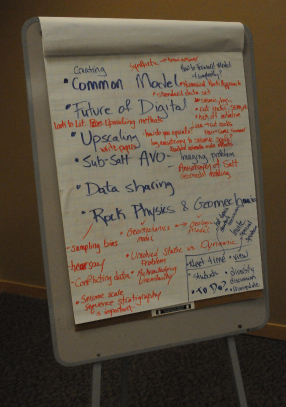 The 1IWRP technical program was closed with a one-hour brainstorming session; an attempt to capture the main issues and ideas moving forward. This was great stuff, and I was invited to jot down the bombardment of shout-outs from the crowd. Improvements for the next workshop at the University of South Hampton, in 2013. I have scribed this into a more legible form, and put some expanded commentary on AgileWiki if you want to read more about these points. Do you disagree with anything on this list? Have we missed something?